Award winning artist Frances Iverson lives in Airdrie, Alberta, Canada . Frances credits her father for her creative and artistic talents and her family for encouraging her to paint and draw during her formative years. Frances is passionate about color and texture in her work. 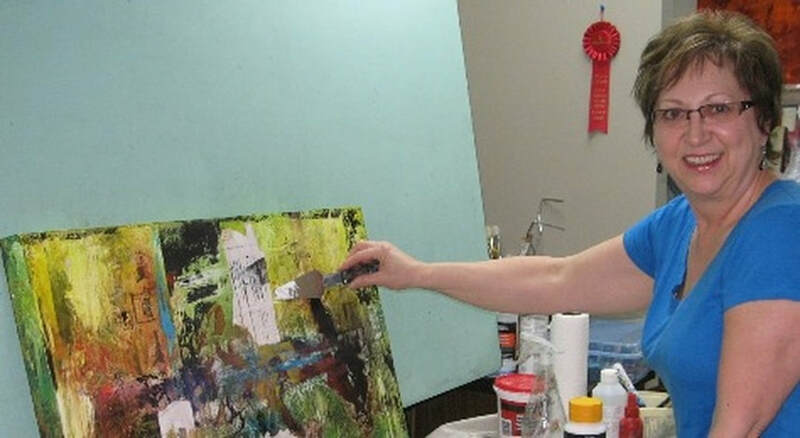 She uses a combination of tools to achieve a "big and bold" character, namely the palette knife, rollers and mediums. All of her paintings are one of a kind and very special in their own way. Frances believes that: "Art Is A Feeling" and that each painting has the ability to elicit powerful emotions in the viewer. Frances is passionate and enthusiastic about painting. She gathers her inspiration from nature, photographs, traveling, people watching, and her imagination. Frances is an active member in her community. Frances takes part in various art shows and auctions each year. She is credited to donating many paintings to be auctioned for fundraisers and charities. Her paintings are in private collections across North America . Frances enjoys the companionship of fellow artists and engaging with the public. Embellished prints are also available upon request.